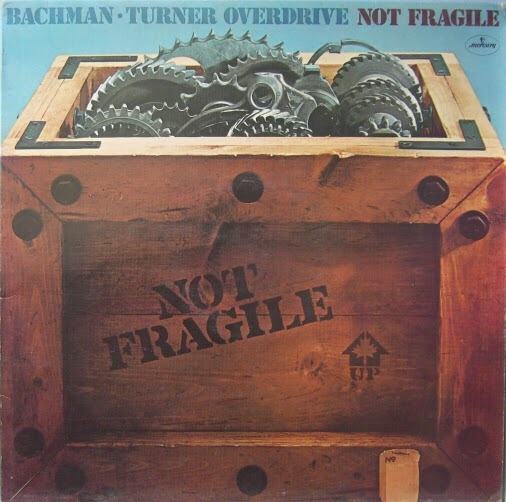 Bachman–Turner Overdrive is a Canadian Hard Rock group from Winnipeg, Manitoba. The precursor to BTO was the band Brave Belt, formed in Winnipeg in 1971 by Randy Bachman and Chad Allan, both formerly of The Guess Who, and drummer Robin "Robbie" Bachman. Randy initially planned to just produce a solo album for Allan, but eventually both he and Robbie stepped in to provide much of the instrumental work. Their name was inspired by the truckers' magazine Overdrive; Bachman-Turner Overdrive. In August 1974, released them third (biggest seller) album "Not Fragile" featuring instant classics such as “Roll On Down The Highway” and “You Ain’t Seen Nothing Yet,” which sold several million singles, and went to #1 in 21 countries. "Not Fragile" climbed to #1 on both the U.S. and Canadian album charts and sold eight million copies. The album and single “You Ain’t Seen Nothing Yet” were simultaneously #1 in Billboard, Cashbox and Record World. When "Not Fragile" was #1, the band had two other charting albums in the top 50: BTO II at #18 and BTO I at #48.